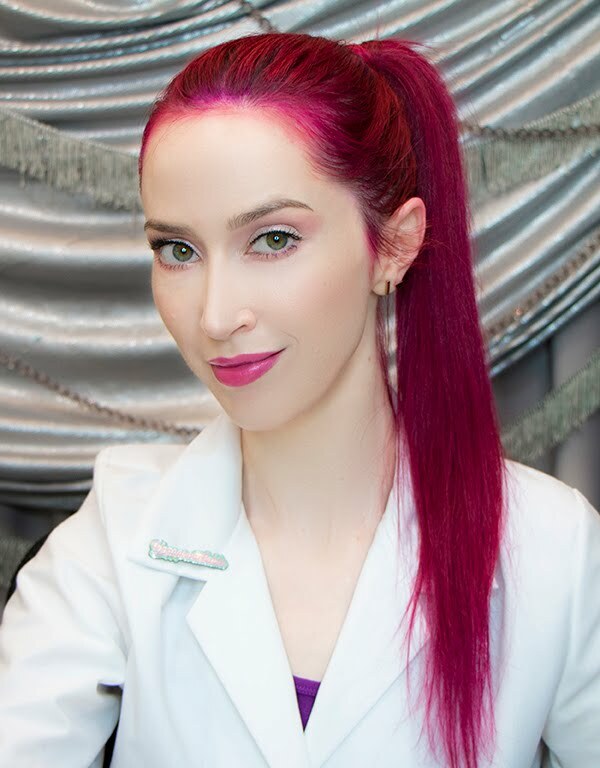 Veronica Gorgeois: Q & A: Treating the symptoms of ichthyosis and severely dry, chapped skin? Here's a question from my comments regarding a skin condition called ichthyosis, which causes skin to appear and feel extremely dry and chapped. 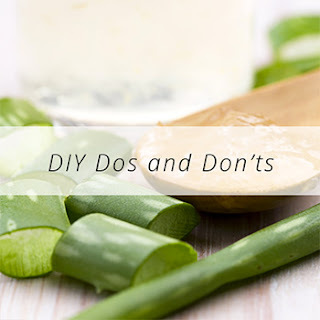 All of the advice in this article can be applied to the treatment of any dry, chapped, or irritated skin. Q: Do you have any recommendations for people suffering from ichthyosis? Would it be similar to the treatment you recommend for keratosis pilaris? While ichthyosis is a genetic disorder and doesn't have a topical or extrinsic cause, on the surface it is very similar to what we call "chapped" skin. Since I'm an esthetician, and estheticians only treat the epidermis of the skin, we're focusing on symptoms rather than causes here. The conditions do not have the same origin, but there is general advice that applies to both. 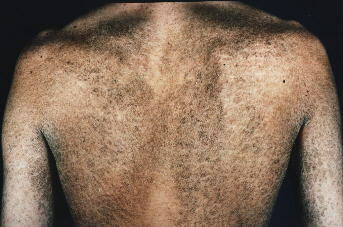 Chapped or severely dry and irritated skin is skin that has had its moisture barrier (also called the lipid layer or intercellular matrix) compromised to the point where it can no longer effectively prevent a phenomenon called trans-epidermal water loss (abbreviated as TEWL, in case you ever see that acronym). This is a fancy way of saying that it makes your skin dry out, but it does so because the natural oils in your skin are depleted and can't hold water in the dry, dead cells of the epidermis. This gives the skin a cracked appearance, and can often be so severe that the skin will split and bleed. It's not only painful and unpleasing aesthetically, but it also leaves the skin more vulnerable to infection. "What you're experiencing is an extreme example of what I talked about in the pH video. Your lipid layer is so damaged that it's practically non-existent, so your skin has resorted to growing hypertrophically (excessively) to thicken itself in an attempt to protect your body. This takes a bit of time to reverse, but it is definitely possible. First and foremost, you need to start wearing gloves any time you may be in contact with anything that may strip oils from or irritate your skin. This includes washing dishes and any house cleaning. What I think will help is a long-term treatment consisting of daily occlusive treatments (meaning application of emollient products with a protective barrier, in this case gloves, over the hands) and mild exfoliation. Get yourself a box of non-latex gloves--this is important, because many people react to latex when the skin is compromised. Also either find or make a mild scrub. No scrubs with salt, sugar or anything sharp like crushed nut shells. An easy recipe would be olive oil and jojoba beads (added note: or rice/bamboo powder, or similar). Olive oil is high in oleic acid, which has a nice skin repairing effect (added note: other oils are fine as tolerated). Essie also has a very nice, fine scrub: http://amzn.to/16lsbwf (added notes: this scrub has a slight fragrance and may not be tolerated on severely compromised skin. Also, what I said below about only exfoliating if it feels comfortable applies to this as well). Find a time every day when you can use the scrub gently on your hands, then apply a very rich, unscented cream and wear your gloves for as long as possible. Something with shea butter and/or cocoa butter would be good, just make sure it is unscented and free of essential oils and fruit extracts. You want something very basic. Plain shea butter or cocoa butter isn't enough though, because you want something that contains humectants to pull water into your epidermis. You should also get a pair of exfoliating gloves for the shower, and gently buff your hands when the skin is full of water (only if it isn't uncomfortable--it may take a while before this feels ok). Immediately after your hands contact water, whether bathing or washing your hands, you *must* apply hand lotion (unscented, always). Do not ever let your hands dry out without applying some kind of moisturizer to them, or you lose all of the water that you just put into your epidermis. At night, apply your rich moisturizing cream, and add a bit of Aquaphor ointment on top, really working them into your skin. Apply as much as you comfortably can. Argan oil is also fabulous, so feel free to add that in wherever you feel like it, or keep a bottle with you to apply a bit throughout the day. You should get into the habit of always carrying (unscented) hand cream." Other added notes: Avoid exposing the affected skin to hot water, pool or sea water (unless this does not cause a worsening of symptoms), and other fragranced products, like scented body washes and body lotions, or perfumes (as discussed in the video linked above). What I recommended above can be applied to hands and feet (using bags for the feet instead of gloves), but obviously you wouldn't be wrapping your body in plastic every day and just relying on the occlusive product (a thick balm-type product) instead. The biggest difference here between the treatment I recommended for this woman's chapped hands and treating the symptom of flaky skin in ichthyosis is in the amount of exfoliating I would recommend. Chapped skin will actually heal quite quickly, though the non-injured skin will still take a while to return to normal, whereas Ichthyosis is a chronic condition, along with psoriasis and autoimmune eczema (which all eczema technically is, but these days most people call dermatitis eczema--again, watch that video). So again, we're talking about symptom management. Aggressive treatment is usually not the best approach when dealing with these kinds of conditions. Instead of a scrub or gloves, I would recommend instead for ichthyosis to very gentlyexfoliate with a wash cloth in the shower as tolerated (do NOT do this if it feels uncomfortable, just be patient and start with the moisturizing step), and to keep showers short and comfortably warm, but not hot. If your skin is normalized enough that you feel confident enough taking a bath, do so as tolerated, but keep your water temperature as low as you can while still being comfortable. It is vitally important that the skins exhibiting the symptom of dryness always apply a moisturizing and emollient product immediately after bathing, while the skin is still damp. Do not let your skin dry out! Your moisture barrier is already depleted from bathing, and needs immediate fortification before all of the water absorbed into your epidermis is allowed to evaporate (more on this in my pH video: http://www.youtube.com/watch?v=k_ihqNtYvmE). As for product recommendations, when you're dealing with severe dryness and chapped skin, you want to keep the ingredients as simple as possible and only use the best tolerated ingredients on the market. The tried and true. This means mineral oil/petrolatum. Buy yourself a big tub of Aquaphor, and make it your best friend. Aquaphor is petrolatum with a few extras like panthenol, and when used in combination with non-irritating moisturizing products, it is wonderful for dry, chapped skin, eczema, and psoriasis. My favorite body lotion is the Trader Joe's "Midsummer Night's Cream", which is cheap and fabulous, but also contains some plant extracts that may still be irritating to compromised skin. An American drugstore product that is likely safe is Vanicream, which is largely petrolatum with some other common ingredients found in moisturizing bases. Eucerin is also very popular. If you're unsure whether a product will work for you, try it on a small area first. If you can't find any lotions or creams that your skin tolerates, or if you can't find anything unscented, just use Aquaphor or another irritant-free petrolatum ointment (or irritant free non-petrolatum ointment if you really don't want to use petrochemicals--they're just not as effective). Shea and cocoa butter can be used as tolerated, as recommended above, but when it comes to using a lotion or cream on dry skin that is not freshly bathed, the product should have a water base and both emollients and humectants. 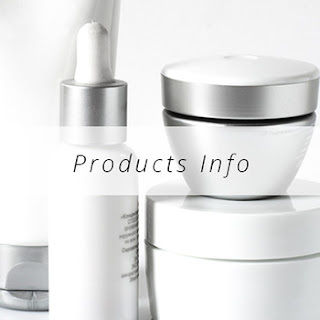 There is a comprehensive list of recommended products on the ichthyosis.com website (which includes Aquaphor and Vanicream along with similar products): http://www.ichthyosis.com/Products.htm This list is also great for anyone dealing with sensitive skin, eczema, psoriasis or severely dry skin without an underlying condition. When/if the skin is normalized enough (that is, the symptoms have either been reduced completely or to a mild state and the skin is no longer uncomfortable or especially irritated), ichthyosis tx can proceed to exfoliating gloves, and you can exfoliate more aggressively as tolerated (still being gentle, though! 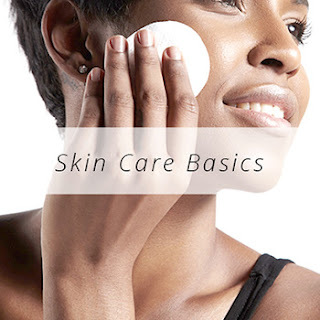 ), but always follow with your moisturizing products. Mild chemical exfoliants can be introduced as tolerated when symptoms are reduced, but test a small area first. If you have ichthyosis, please be sure to alert your managing physician to any changes in your skin care routine, and always keep a list of products to bring to your appointments. Whew, ok. That was a lot of information. The woman with the chapped hands did report back that her hands were healing nicely, so that story had a happy ending!